Concluding our look at the Post Crisis on Infinite Earths covers from Amazing Heroes, the last hero featured was Wonder Woman. 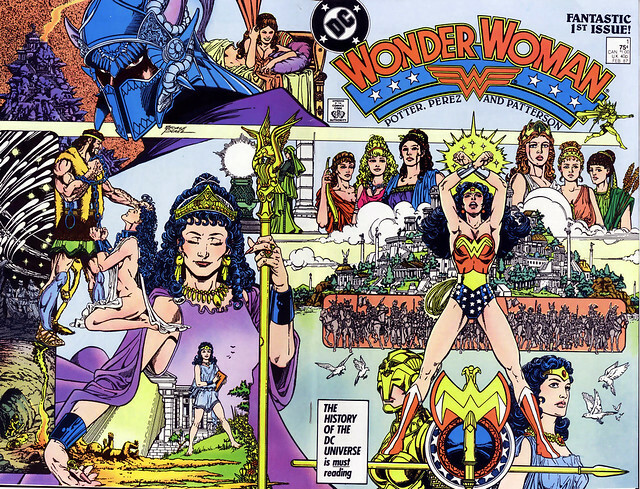 The big excitement for most fans was that Wonder Woman was getting one of the hottest artists in comics, George Perez! Perez relaunched Wonder Woman for a brand new DC Earth. 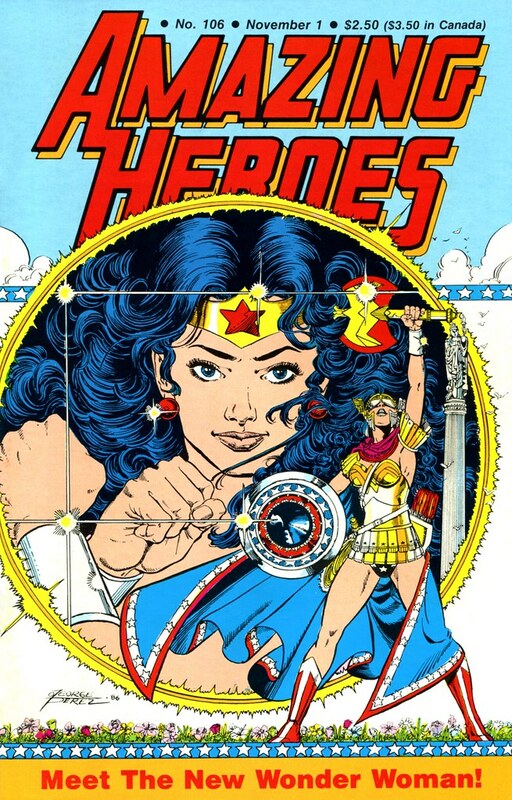 This cover for Amazing Heroes 106 that Perez drew displays all the classic elements of the character, the tiara, bracelets, and lasso. But Perez also contributed a lot to the Amazon mythology of Wonder Woman. Her battle armor was a great addition and used by other people (Alex Ross) in later years. The cover to Wonder Woman V2 #1 was the best out of all the DC Comics reboots. Perez populated this cover with all the epic moments from Diana's origin: the Amazons, Hercules, Ares, and her own birth out of clay. This is probably my favorite run on the character. Nuff Said!